Have you heard of Around the World Blog Hop? I hadn't until artist Sunny Avocado invited me to participate by answering four questions about my work. I love Sunny's art, especially her self-portrait and gooey peanut butter and jelly sandwiches paintings. No artwork these days. We are building a new home and my time is spent on the millions of decisions necessary. It took a whole day to verify window sill heights in the house and garage. Last night, instead of sleeping, I spent several hours in the middle of the night weighing the pros and cons of white paint colors for our trim, inside and out. It is as if I am creating this huge (expensive) painting. My color choices must be correct but all I have now is little color chips. I look forward to the sheetrock stage (probably around Christmas) so I can see the rooms and how they relate to one another and the available natural light. 2. How does my work differ from others of its genre? I change my genre every decade or so. It isn't some grand plan, I think I just get bored when I start to feel really comfortable with a medium. 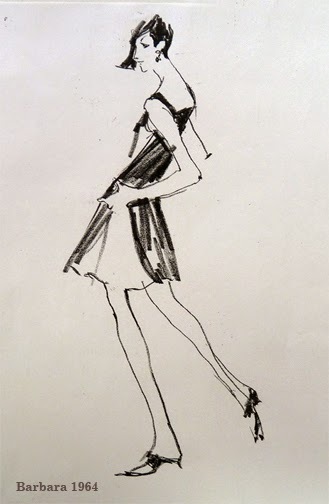 In my twenties I was a fashion illustrator working in pen and ink, then a twenty year sabbatical to raise children. 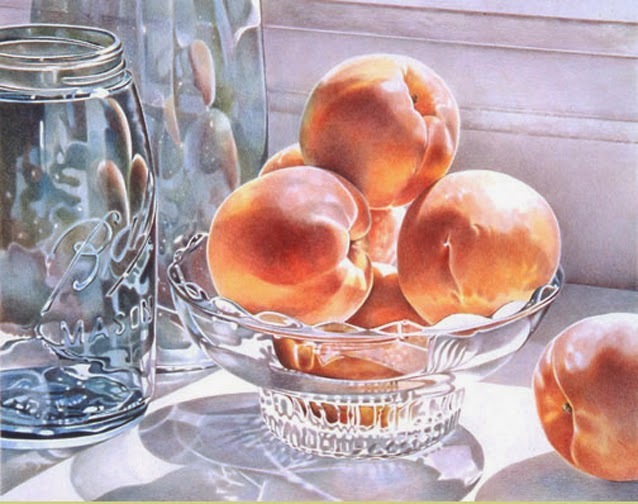 When I returned to art in my 50's, I created colored pencil still life drawings. 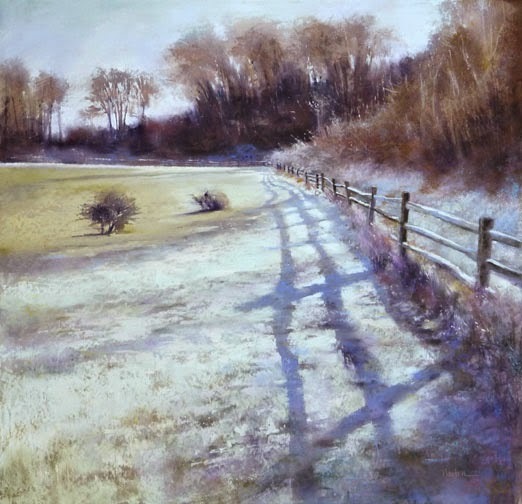 The pastel landscape was the genre of my 60's. 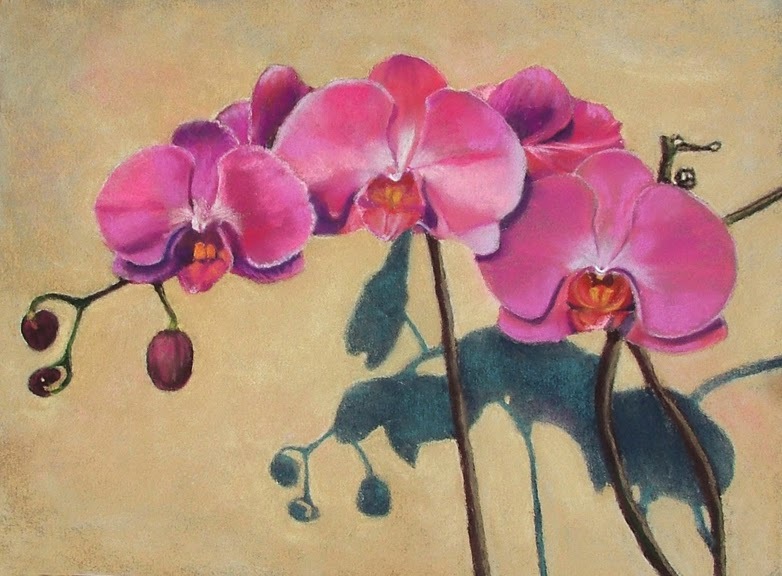 Now, in my 70's I am experimenting with oil paint, landscapes and still life. So, I don't really have an answer to the question. When I come across beautiful work of others, rather than compare my work to theirs and how it might be the same or different, I am more interested in their handling of the medium. When I get back to painting, I will probably continue abstracting my subject and letting go of detail. I guess I've already answered this question in terms of subject and medium so perhaps another question might be Why do I paint? I have asked myself this question many times. I guess the bottom line is that I need a creative outlet and for the past 25 years that has been art. I paint to fill gallery commitments. 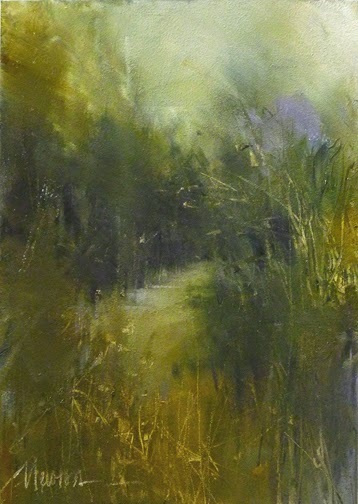 Each time I try a new medium, it has been helpful to me to enter competitions to get feedback from Jurors and Judges. But, as I focus on our building project in the coming year(s) I suspect the reason I create art will change. When I have time to paint, it might be more exploratory - to satisfy my curiosity. Oil bar and encaustic look interesting! A clean studio a must, I can't work amid chaos. Good light, something I'm still experimenting with. I like the routine of painting weekday mornings. I usually have only one or two paintings in progress at a time, otherwise I feel like my attention is spread too thin. I used to work exclusively from reference photos but painting from life or memory gives me a fresher look. And, knowing when to quit on a painting is a big challenge for me as it may be for other artists. And finally, here are the three very talented artists I have invited to blog next Monday, November 3. 1. Kay Dewar is my long time friend; we met through colored pencil. Kay is a kind and thoughtful person - we cheer each other on in life and art. 2. 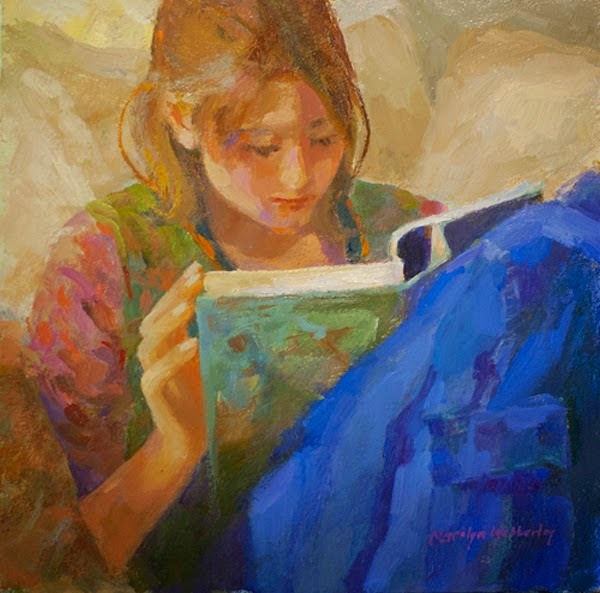 Marilyn Webberley is an oil painter I met through Women Painters of Washington. She is generous with her time and knowledge, even walking me through putting oil paint on my new Open Box M.
3. Carol Flatt is from my distant past - we went to school together. 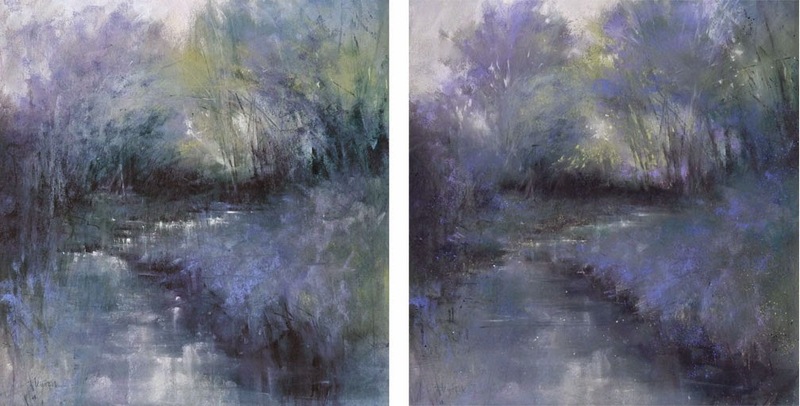 It was a surprise and pleasure to reconnect a couple years ago through Daily Paintworks and see her work. Another rework. I unframed Bejeweled (framed but never shown) to work the upper left corner but "way leads unto way" (Robert Frost) and I saw more and more that needed changing. I'm happy with all of it now. Back into the frame and renamed Bejeweled Woodland. Early in 2014 I painted "The Signature of All Things." 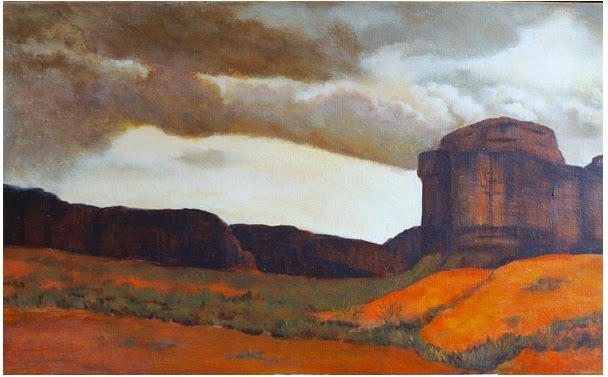 Today, as I prepare for a November show at Scott Milo Gallery, Anacortes, I came across the painting, still unframed. I've been working in oil since last spring but I couldn't resist uncovering my pastels for a little rework. Now, it is "Wild Lilac." My show, Of Time and Treasures, opens tomorrow and runs through November 4 at State of the Arts Gallery, Olympia, Washington. Join us at Artwalk tomorrow night, Oct. 3, 2014, 5-7 PM. 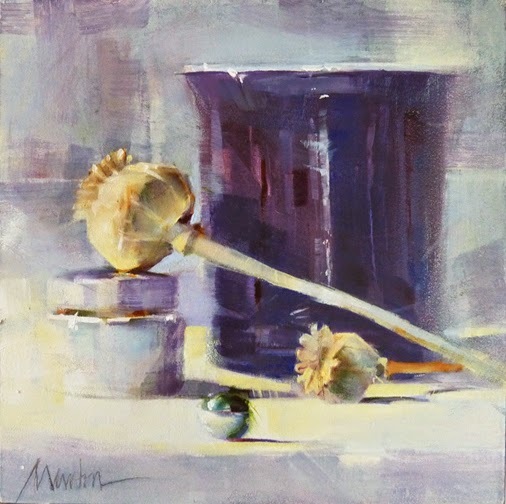 My thanks to gallery owner, Deb Martz Moody for showing this new body of work.